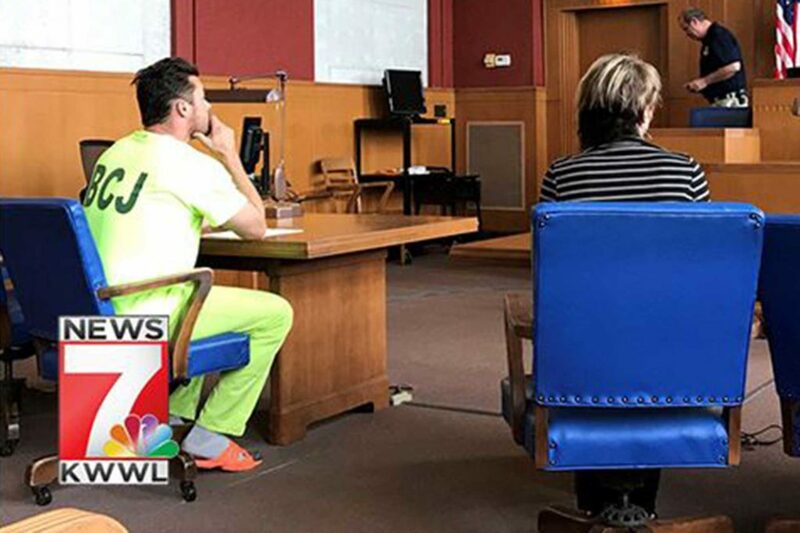 A judge charged a former KWWL reporter with contempt of court earlier this year for shooting video during a court hearing. The charge was later dismissed. Expanded media rules require a judge’s permission ahead of time to use cameras in court rooms during judicial proceedings. Despite a few recent problems, the rules for expanded media news coverage (ENMC) of Iowa’s courts continue to work well, according to Randy Evans, executive director of the Iowa Freedom of Information Council. Evans says ENMC is effective because of the system of 13 regional media coordinators that handle requests from broadcast and print journalists to cover trials with cameras and microphones. The system allows a close relationship between judges and journalists to develop, Evans said. “I think that interaction has stopped problems from becoming even larger on both sides,” he said. None the less, there have been a few “worrisome occurrences” recently, Evans said. One of the bigger problems, he said, happened in the Chris Soules case. Soules, an Iowa farmer and reality TV star, was charged with leaving the scene of a fatal crash near Aurora in April 2018. During Soules’ initial court hearing, a former KWWL reporter shot cell phone video of the proceeding without the judge’s permission. The reporter was charged with contempt of court, but the charge was later dropped. Central Iowa and appellate court media coordinator Jannay Towne of WHO-TV said another recent violation involved the live streaming of a trial in the spring of 2018. TV personnel neglected to mute a microphone and it picked up a conversation between attorneys when court was not in session. When covering court proceedings, journalists should make sure they are familiar with ENMC rules, Towne said. “It’s definitely a privilege that we have in Iowa and there’s a lot of things journalists need to do so that we keep that privilege,” Towne said. Of course, there were no cell phones, or live streaming when the original ENMC rules were developed in the late 1970s. But that does not mean the rules have been static. “I tip my hat to the Iowa Supreme Court for sitting down four years ago and looking at what changes needed to be made in the expanded media coverage rules because of the changing nature of the news reporting business as well as the changing technology that journalists use,” Evans said. Journalists are now allowed to use laptops and tablets for note taking and live blogging, and cell phones for texting and tweeting when court is in session. Journalists must wear an ID badge however, so judges know they are permitted to use the technology. Towne, who handles filings for up to 100 court proceedings a year, said not wearing an ID is one of the biggest complaints she hears from judges. Evans says journalists with questions about ENMC should contact him at 515-745-0041 or IowaFOICouncil@gmail.com, or any of the regional media coordinators. “We’re here to help journalists navigate the requirements of the court system and still get the kind of video and still photos, and coverage that will better help inform the people of Iowa,” Evans said.